Many of the top professional thespians we see on our stages today, have their roots in the Community Theatre movement and though they may have acted “just for a laff” in the beginning, many have gone on to be household names today. Such is the nature of community theatre; from humble beginnings for many at the outset to stardom for a few later on. However, those who retain their community status do so with great enjoyment and enthusiasm, and whilst they may receive no remuneration for their efforts, they still manage to produce highly skilled and slick pieces of work. SANCTA is a National Community Theatre Association whose objective is to raise the quality, status and profile of the community performing arts and provide entertainment for localized audiences in areas outside the mainstream towns and suburbs in order to make them viable once again and regain their place in the cultural life of our community. 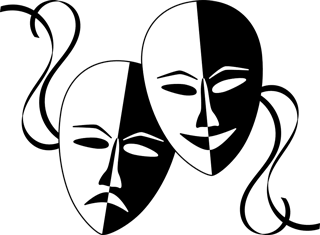 SANCTA achieves its objectives by running fully adjudicated one-act play festivals annually, with educational and mentoring courses for groups, to enable them to perform “in a proper theatre environment”, instead of in church halls, homes, and community centres, and to encourage new “workshopped” SA Productions. We also run an Annual SANCTA Community Theatre Award system whereby all plays produced by community societies throughout the year (not just our festival entries) are scrutinised by highly qualified professional adjudicators, and awards are allocated to deserving participants in various categories. The zenith of these awards is the announcement of the winner of the Best Production, which is eligible for the coveted Community Theatre Naledi Award, in the fully professional Naledi Awards Ceremony. SANCTA also runs various programmes including producing festivals and workshops. SANCTA has a national body, and branches in Gauteng, Mpumalanga, the North-West, Western Cape and Kwa-Zulu Natal. To provide a learning experience for all concerned and to improve the overall standard of community dramatics and provide entertainment for localised audiences in suburbs and smaller centres outside of the mainstream professional theatre based in central Johannesburg thus increasing the exposure of those societies who can otherwise only perform in their local church hall, school hall and community centre. To provide a showcase to demonstrate the heights, which may be attained by those, whom – in their spare time – devote many hours to the preparation and presentation of theatrical works. To encourage aspirant scriptwriters to write for and have the opportunity of seeing their work performed for the first time and to provide a forum for lesser known South African playwrights for the production of new and relevant South African works and to encourage the development of “workshopped” productions. To bolster the funds of SANCTA in order to host workshops in various disciplines pertaining to technical, directing and performing aspects of the arts during the course of the following year. Our Main objective is the running of a One–Act play festival annually, usually in Secunda Mpumalanga, but we are doing one in Hillbrow , GP in Dec . We also run a Full Length Play Annual Festival, both of which are adjudicated by highly skilled professionals. We have a NEW SA One Act Script writing Competition and also a poster competition for the youth to encourage them to become interested in theatre.. We run general theatre workshops in many towns and also mentor the plays chosen for the festival. We hold technical seminars in the theatre where the festival is held. Voice, breathing, acting , directing, use of stage, movement static and physical.